Chardham Tourism is your must trusted and reliable chardham yatra guide in Haridwar. 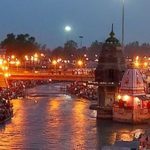 With its registered office in Haridwar and Kolkata you always have the facility to meet directly with the support staff for your information needed for chardham yatra in Haridwar. Chardham Tourism in Haridwar has been Govt Approved travel agent in Haridwar by many travelers who has visited Chardham yatra with us. We are the travel agent in Chardham yatra. 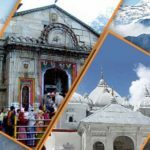 Many pilgrimages from across the world have witnessed our best Chardham yatra tour packages and our services offered to them during the Chardham yatra. Chardham yatra tour packages will include all boarding and lodging of the customer & there will be no hidden cost include in the Chardham yatra tour package. 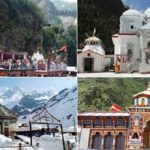 Every temple in Char Dham yatra of Uttarakhand is dedicated to a different lord and there are interesting stories and legends regarding their creation and establishment. We operate the Chardham tour from Haridwar for a group of pilgrims. The Chota Char Dham route covers the span of Yamunotri-Gangotri-Kedarnath-Badrinath. If you wish to undertake a road trip to the holy sites, then a route map from Delhi will follow the course of Delhi-Haridwar-Barkot-Yamunotri-Uttarkashi-Gangotri-Guptakashi-Kedarnath-Badrinath-Rishikesh-Delhi. We also arrange group wise char Dham yatra from Rishikesh and Haridwar. 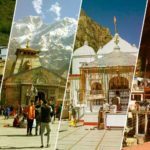 Best Time to plan Chardham Yatra: The tourist season for Char Dham Yatra is from May to September. Char Dham shrines witness a heavy influx of pilgrims every year during its ‘pilgrim season’. A lot of this is attributed to the shrines being open for Darshan for only half a year owing to their location in extremely cold locales. Thus, the sacred shrines remain closed for winters and can be accessed only during the summer months, May to November (beginning). For helicopter journey, a trip can be planned in May-June and August-October. It is best to avoid a visit during the rainy season, especially in July as the weather is likely to turn rough and terrain adverse due to heavy and unpredictable rains in the region. Helicopter services are also non-operational during the month of July because of the stormy and rainy weather. Things to carry: One needs to carry in addition to normal accessories, woolens, jackets, warm clothing. Kedarnath can be really chilly any time of the year. Torchlight is a must – as power supply at various places is erratic. it is also advisable to carry first aid and any personal medication that your previous medical history may deem necessary. In fact, it is always better to consult a doctor and ask his/her opinions before choosing what medication to carry. Some medicines you ought to carry include tablets for sore-throat, antibiotics, antiseptic cream, anti-fever medicines, cough-cold tablets, painkillers, bandages, medication for Blood Pressure issues, etc. Best Way to start Charm Dham Yatra: Haridwar – Mussoorie – Barkot – Yamunotri – Uttarakashi – Gangotri – Guptkashi – Gaurikund – Kedarnath – Karanprayag – Nandprayag – Joshimath – Badrinath – Rudraprayag – Srinagar – Devprayag – Rishikesh – Haridwar. Keeping Rishikesh as a starting base, here are some distances that will give you an idea of the journey ahead. 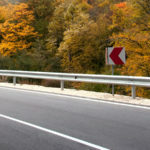 What to Avoid During the Journey? It’s best to keep your jewelry to a minimum. Avoid carrying much jewelry. Alcohol is strictly prohibited. So are non-vegetarian meals. Follow a sattvic diet. Do not indulge in photography where it is prohibited. Make sure that your behavior is respectful of the religious sentiments of native people. Avoid taking rest at places where boards displaying caution are placed. Do not take bathe or clean your articles at /near water-bodies unless they are designated as Ghats for the same. You are advised to seek information only from Government Tourist Information centers. Also, let us list the address of Head office of the Tourist Information Centre at Dehradun. The Chardham yatra is on at the moment, with thousands of people visiting the four dhams every day. So you can too. If you are worried about the natural disasters or getting stuck in the mountains, then I would suggest that you plan your trip post monsoon in October when there is less crowd, the weather is beautiful and the mountains absolutely spectacular and verdant after the rains. Chardham Yatra customarily starts from Haridwar or from Delhi. The nearest airport to Haridwar is Jolly grand airport which has good connectivity of flight from Delhi, Kolkata, Ahmadabad, Bangalore, Chennai, and Cochin. A train is also a good option to reach Haridwar. For the first time traveler to Uttarakhand, it’s important to understand the preparation required for the pilgrimage, as it can be physically challenging for some. The private car can be hired from Haridwar or Delhi for Chardham Yatra. Else, helicopter services are also available for all the Dhams and which also gives the advantage to do yatra at shortest time phase of 2 days. Helicopter packages for Chardham are also readily available. During the Char Dham yatra with us, we will provide good accommodation with meals with our Chardham tour packages. We are the trusted and reliable tour and travel agency for Chardham yatra. Deluxe taxi/cars/ buses from Delhi, Haridwar, Rishikesh, Mussoorie to Chardham yatra or single trip can be a plan to (Yamunotri yatra, Gangotri yatra, Kedarnath yatra and Badrinath yatra ) can also be booked by using our travel agencies. Our travel Company for Chardham yatra will be your host for whole the journey of the famous places of Uttarakhand and will ensure there will be no discomfort and hassle to the tour of Chardham yatra.